After signing Marcus Smart, the Boston Celtics have completed all important offseason business, and the team turns its attention fully towards the coming season. With other teams wrapping up their major moves as well, the rosters of the Cs' opponents are coming into focus as well, and with big names on the move, Topher Lane and Justin Quinn break down the state of the Celtics heading into August and beyond. Is the Kawhi Leonard trade, sending he and Danny Green from the San Antonio Spurs to the Toronto Raptors, a difference maker in the East? Will LeBron James and his new team the Los Angeles Lakers even make the playoffs? What about the other end of that deal? Should we expect the Spurs to regain some mojo behind a miffed DeMar DeRozan? 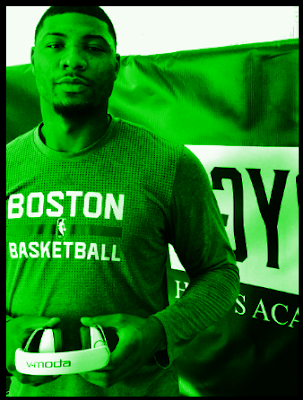 How does Isaiah Thomas getting picked up bode for the former Celtic's future? Did Danny Ainge and company overpay Smart? Why did Justin forget his microphone (sorry, y'all)? We try to answer all these questions and more on this week's CLPod - so check it out!